After weeks of conjecture and anticipation, President Obama has announced a series of executive actions addressing gun control and gun violence in the United States. Citing the number of crimes committed with firearms, many of which “were committed by people who never should have been able to purchase a gun in the first place,” President Obama enacted this series of measures after consulting Attorney General Loretta Lynch following his return from a vacation in Hawaii. Increased license and background check requirements for those in the business of selling firearms. 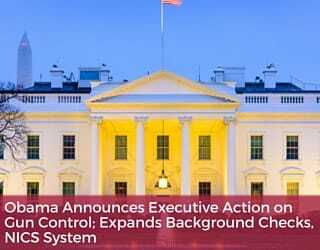 The executive actions clarify the requirements for firearms dealers, who is considered to be “engaged in the business” of selling firearms based on quantity and frequency of sale, and establishes new penalties for those violating the rules. Expanded background checks for NFA firearms inherited through a trust or corporation. Individuals seeking to acquire ownership via a trust, corporation, similar legal entity of a firearm regulated under the National Firearms Act must go through the NFA background check and tax stamp process. Require states to provide records to the NICS system. 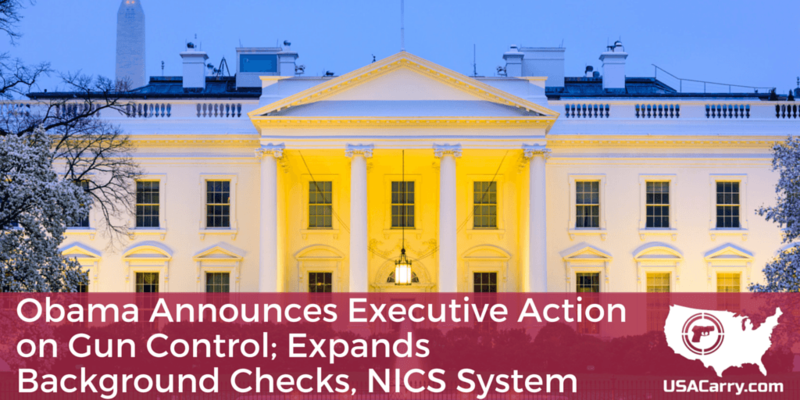 These measures ensure that state governments will provide criminal and mental illness information to the National Instant Criminal Background Check System (NICS) in a timely and effective manner. Require dealers to inform law enforcement of lost or stolen firearms. This clarifies existing laws regarding reporting processes for firearms dealers and lost inventory. Expanding and improving the NICS system. This includes upgrading the reporting system, expanding staffing and funding, and other measures. Whether these measures will be effective in reducing gun deaths—including the cited “hundreds of thousands of other people in our communities [who] committed suicide with a gun” remains to be seen, as does the reaction from pro-Second Amendment politicians and activists.